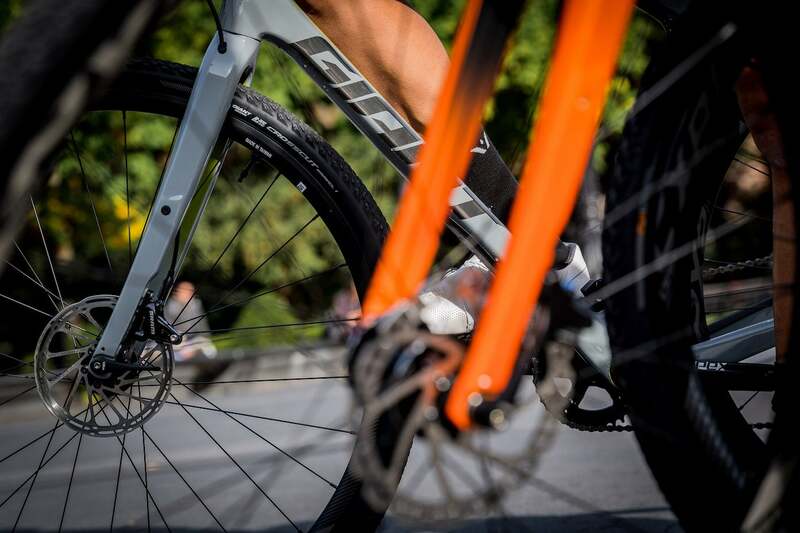 We want to take the Giant Revolt on a test ride and take it to a place that promises to throw everything imaginable at this gravel bike. So we go to New York. 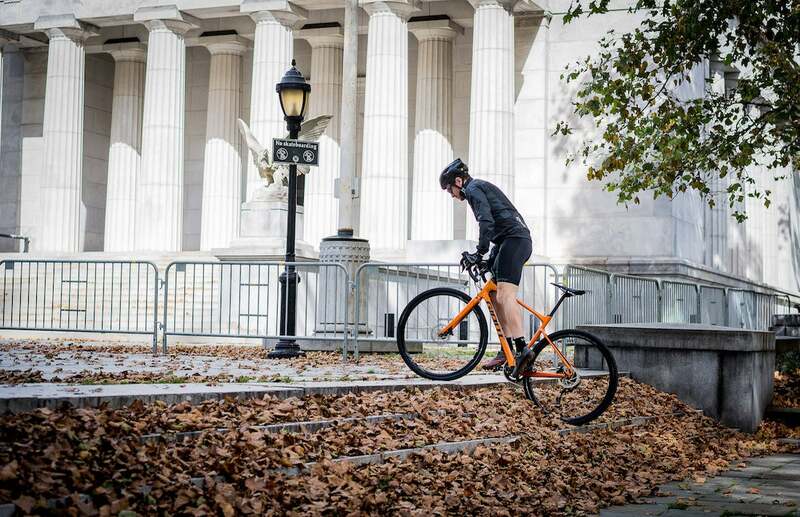 Much has already been said about the surprising Revolt, a performance gravel bike that’s equally adept at tackling paved roads or dirt. 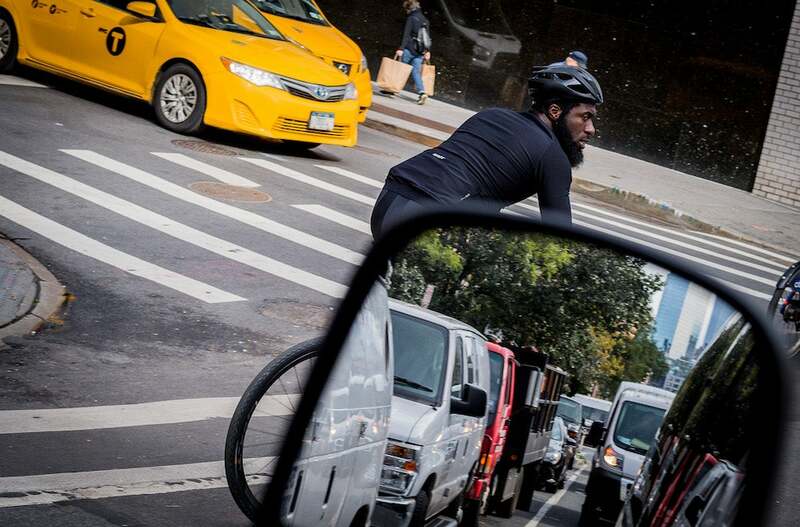 And while New York may be known firstly for its population density and potholed pavement, cyclists who know the city also know there is much more to the Big Apple than first meets the eye. 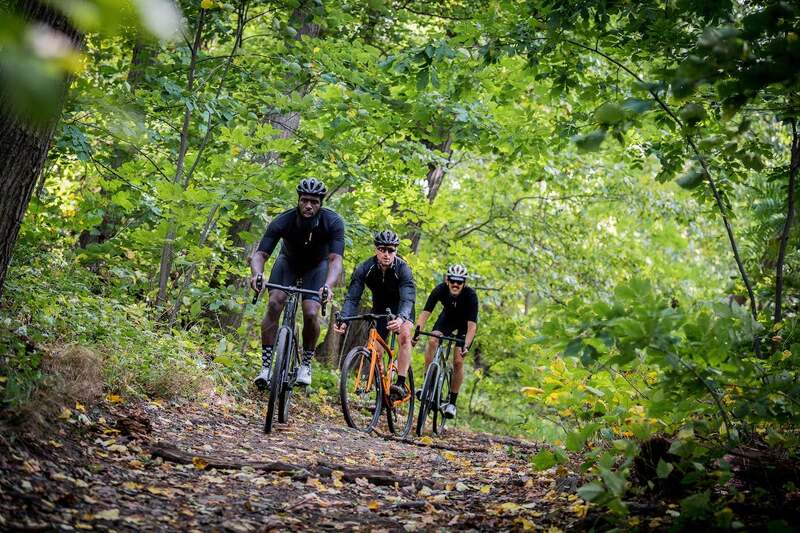 For our Revolt getaway we link up with three fixtures on the New York City cycling scene. Maurice “Moe” Adams is a fixie specialist, known for killing it in Gold Sprints; Austin Horse has won the world bike messenger championships on numerous occasions—even though you might know him better for his dizzying bike messenger videos on YouTube; and Giovanni Jimenez, who spends more time around bikes than most New Yorkers, works as a bike messenger by day and spends much of his free time working at Brooklyn’s Sun And Air bike and coffee shop in the heart of Williamsburg. Meeting in Washington Square Park in Greenwich Village on the first morning of our Revolt Adventure, we quickly finalize our itinerary in an effort to see the city and discover some of its hidden cycling secrets. 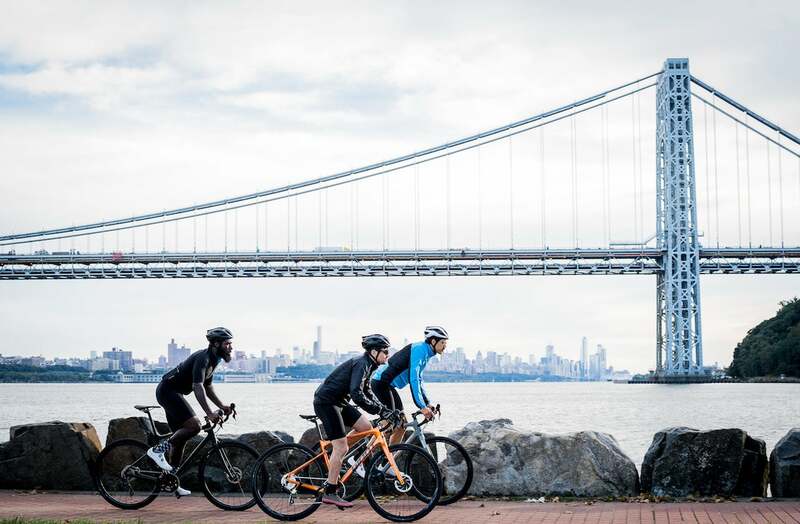 And for our adventure’s aperitif, we opt to warm up with one of the classic New York rides up the west side of the city, over the George Washington Bridge and along the Hudson River to Nyack. With the morning sun just cresting the surrounding buildings, it provides a welcome respite to this autumn morning. And soon enough we’re off chasing our trio through the West Village and over to the West Side Highway. 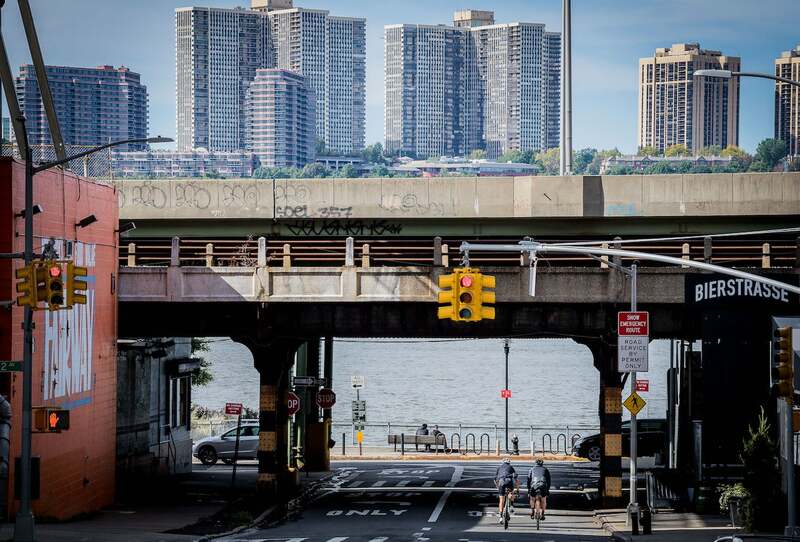 A virtual no-man’s-land not so long ago, the West Side Highway has become the easy access escape route for many New York riders, thanks to the installation of bike lanes alongside the Hudson. Moving faster than much of the morning traffic, Austin, Moe and Giovanni skirt the long line of docks and ports dotting the west side of the city, before hitting Riverside Park and making their way north into Harlem. With the shores of the Hudson calling, we have to make short shrift of the park on this day. But we promise to come back! 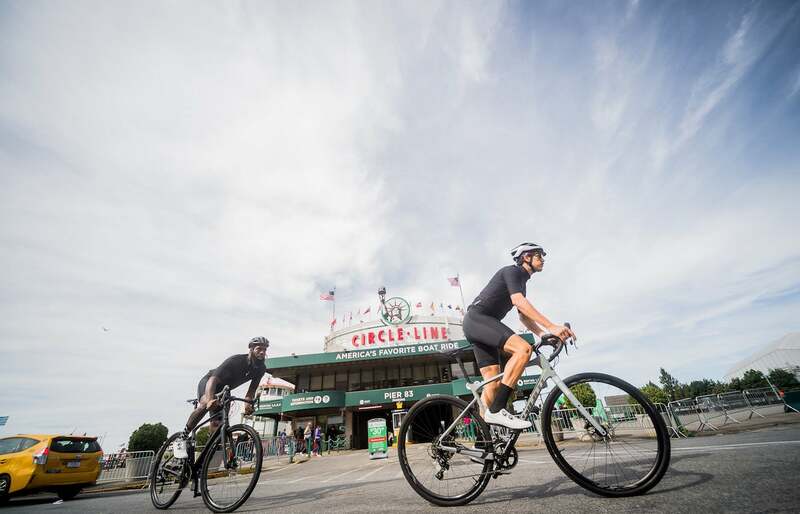 But while the options are as endless as the westward expanse that is the greater United States, most cyclists immediately drop down and hit the roads along the west bank of the Hudson. 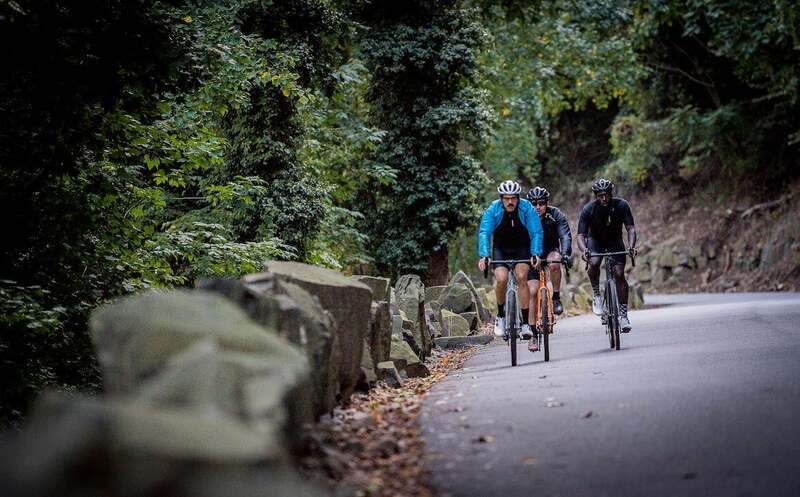 Riding under the bridge, our cyclists quickly hit the wooded roads along Henry Hudson Drive, which eventually leads into Highway 9W that parallels the Palisades Parkway, albeit in a more picturesque and cycling-friendly manner. After a few miles, we’re able to distance ourselves even farther from the Parkway as we drop down through Skunk Hollow and Tallman Mountain State Park toward Nyack, our day’s destination.